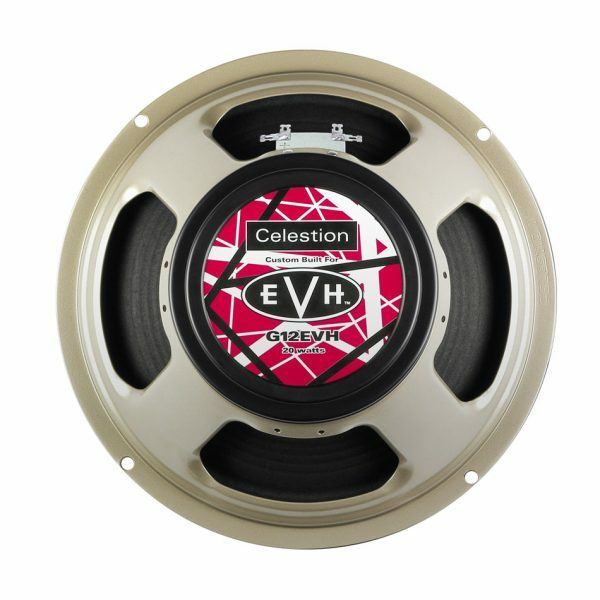 Add some authentic Van Halen ‘brown tone’ to your tonal palette with this Celestion G12 EVH impulse response in a 4×12 closed back configuration. Now available as an impulse response, the 4×12 closed back cabinet pack gives you the authentic tones of the G12 EVH speaker, captured using three of the best known microphones (the Sennheiser MD421, the Royer R-121, and the Shure SM57). Each mic has been placed in 6 different locations each providing a different tone – choose from Balanced, Bright, Fat, Thin, Dark and Dark 2. The G12 EVH has also been recorded using a Neumann TLM 107 room mic in 3 different positions – Left, Right and Stereo. Also included in this pack are four mic mixes (R-121+MD421, R-121+SM57, MD421+SM57, and all three together R-121+MD421+SM57) each in a choice of Low or High Gain, making 8 mix files in all. All our impulse response files are in .WAV format and are compatible with most well-known DAWs, amp modellers and plugins.